Acute myocardial infarction is a medical term for heart attack. If you have ever seen anyone or perhaps experienced a heart attack, you will agree with me that it is a life-threatening medical situation. Blood very rich in oxygen usually flow from the heart to all parts of the body and return back to the heart with less oxygen content. In fact, it returns without oxygen! When blood returning to the heart especially its muscles is suddenly cut off, the muscles of the heart and indeed its tissues become damaged. This most times is caused by an obstruction in a set of arteries called coronary arteries. One or more of these arteries can be affected. You might want to ask what could be responsible for this blockage. That is one of the reasons you are reading this article right now! Oh yeah. These arteries can be blocked when what is called a plaque is present in them. A plaque is usually a mass of fatty substances, waste metabolic products or even cholesterol. But cholesterol seems to be most of the component of plaques in the arteries. If you suspect that you or someone close to you has a heart attack, call the emergency line, 911 immediately. Life is gold you know. Chest pains and sporadic breathing pattern that come in short bouts are what is referred to as ‘classic symptoms’ of an acute myocardial infarction. Pain in specific parts of the body. These parts are the jaw, chest, back. Other upper parts of the body can be affected. Another notable thing about this pain is that it recurrent and lasts more than a few minutes. A heartbeat that is very fast. These symptoms are not all experienced with the same seriousness in all affected persons. But a pain in the chest happens to be one of the most commonly reported symptoms of patients in both men and women. Pain in the upper part of the back. Feeling as if their head is light. Some women have even reported that their symptoms were flu-like. Your heart happens to be boss in one of the systems in your body called the cardiovascular system. This system includes your blood vessels, too. Veins, arteries, and capillaries are the 3 main types of blood vessels. Out of these 3, the arteries are destined to convey blood, rich in oxygen to all parts of your body. But there is a special type of artery that especially conveys oxygen-packed blood to the muscles of the heart. It is called the coronary artery. They are many in number and they innervate all the muscles of the heart. Blocking these arteries will mean blocking oxygen from getting to the muscles that they supply. And when tissues of the body don’t have access to oxygen, they will begin to die. This is what happens to the muscles of your heart when the coronary arteries are blocked by fatty plaques. The arteries might not be completely blocked but narrowed to the extent that blood flow through them is insignificant. The bad cholesterol is also known as – low-density lipoprotein (LDL). This LDL actually tops the chart in blocking arteries. Your body and some of the food substances you eat contain cholesterol. It doesn’t have a color. They are of two types – the good and the bad. The names are quite descriptive! So you should know it’s the bad one that is behind that bad guy called a heart attack. You see this bad cholesterol get stuck to the walls. That is how they keep getting stuck to the walls until they are large enough to partially or completely narrow the arteries. This mass of bad cholesterol will eventually harden and then obstruct blood flow partially or completely. Blood platelets can also stick to these plaques because they are naturally sticky to the walls of blood vessels. 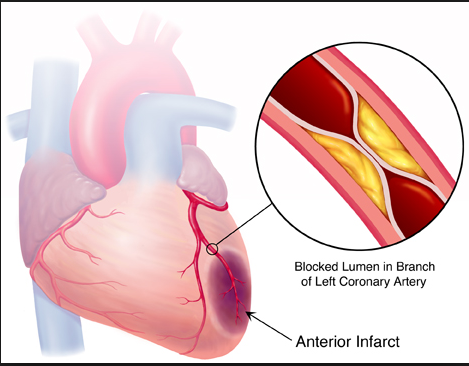 Saturated fats which are mainly contained in dairy products and meats, can also form plaques in the coronary arteries. They tend to raise the circulating levels of bad cholesterol. They are contained in processed foods. Any processed food you buy that has hydrogenated oil as one of the ingredients is an indicator that what you are holding in your hand has a trans fat. They can block your coronary arteries. If you have got a high blood pressure, then you are at risk. A high blood pressure is a blood pressure greater than the normal which is 120/80 mm Hg. High blood pressure can damage your arteries and promote plaque build-up in them. Very high amount of bad cholesterol places you at a very high cliff and leaves you to jump down without help. If you already have very high amounts of this cholesterol, a drug called statins can help you reduce their amount in your blood. You will have to compulsorily change your diet, too except you love to or will rather love to have an attack! This is a type of fat that can predispose you to have n acute myocardial infarction. These fats are supposed to be stored up in fat cells but some can choose to roam the blood and in the process, get stuck to the walls of the arteries. Very high blood sugar level in the body is what is called diabetes. This ill body state can cause a huge damage to blood vessels. Damaged coronary arteries are susceptible to forming plaques. Obesity simply is a state characterized by more than normal body weight and size. Too much fat in the body can affect the coronary arteries. Obesity is not only associated with the development of a heart attack: it is also associated with the development of hypertension and diabetes among others. It will also induce high cholesterol and triglyceride blood levels. Tobacco products smoking can predispose to the development of cardiovascular illnesses: a heart attack is one. Development of an acute myocardial infarction is directly proportional to age and has some gender differences in onset. While a man of 45 can develop it, a woman of 55 can develop it. A heart attack or acute myocardial infarction can be inherited from parents or grandparents. Any family that has a history of heart attack predisposes the children to have it. Families where males developed it before 55 and female before 65 are likely to have children who will develop a heart attack early in life. Stress, poor attitude towards exercise, amphetamines and cocaine use, and pregnancy-induced hypertension are other factors that can increase the risk for a heart attack. Irregularities of your heart will be checked by your doctor. He will also take your blood pressure. An electrocardiogram test will measure the electrical state of your heart. Troponin, a muscle protein, can be tested for in your blood. It will be present in your blood if you have a heart attack. A stress test might also be carried out on you to see how you will respond to physical exertion. Areas, where blockages exist in your coronary arteries, can also be found out using an angiogram with coronary catheterization. Areas that are not well-functioning in your heart can also be identified using an echocardiogram. Acute myocardial infarction is an emergency case. Angioplasty, a less invasive procedure can be employed to unblock affected arteries. During this procedure, your doctor will access your arteries using a catheter – a long and thin tube. A balloon will be attached to this catheter. The balloon will be inflated. The expansion of the balloon causes the blocked arteries to reopen to prevent the closing of the reopened arteries; stent – a mesh tube – will be placed at the affected site. A coronary artery bypass graft – CABG – can be carried in some instances immediately after the development of an attack. But it can be otherwise, say many days after the attack. What happens here is that your arteries and veins will be rerouted so that blood can move around the blocked site. Blood thinners i.e. aspirin: They will split up blood clots so that blood can readily flow in the arteries. 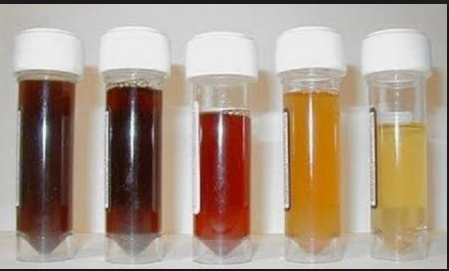 Thrombolytics: They are blood clots dissolver. Nitroglycerin: It is used to increase the diameter of your arteries. ACE inhibitors and beta-blockers: They have the ability to reduce blood pressure so that the heart is in a more relaxed state. They also place a limit on the damage that can be done to the heart muscles. Pain relievers: They are useful in helping you get relief from pain and discomfort. The degree of damage to coronary arteries as well as timely response to emergency treatment has a huge role to play in your recovery probabilities. The faster you were medically helped, the more chances are that you will not die. But if your heart muscles had sustained massive damage, you might not be able to use your heart to pump blood sufficiently well – heart failure is the outcome! Sometimes, it might not even result in a heart failure: it can precipitate into arrhythmias. It is also another risk factor for having a heart attack. It has been found out that heart attack patients experienced depression. Some even had unexplained anxiety. It’s needful to tell your doctor about all your deep concerns as they touch your recovery. Joining a supportive network or seeing a counselor regarding what you’re experiencing might be really helpful. It is possible for you to resume work after an attack. It all boils down to the attack’s severity. Reducing your physical exertion will help you a whole lot. A clear recovery plan will be designed for you by your doctor. Medications will be recommended for you. Undergoing a cardiac rehabilitation exercise could be another way of helping you feel really better and strengthened in your mind and body. You will be properly guided. Keep reading to find out how you can prevent or minimize your risk of having a heart attack! One great way to help yourself and family from developing a heart attack is to include heart-friendly meals in your diet. Some of the most common ones are fruits, whole grains, vegetables, and lean protein. Trans fat, cholesterol, saturated fat, and sugar are heart-unfriendly and should thus be consumed in less amount. This is worthy of note if you are hypertensive, diabetic or have a high level of cholesterol in your blood. Exercise, if done regularly, thrice a week, can enhance the health of your heart and blood vessels. But it is important to consult a doctor before you start exercising if you had recently had a heart attack. If you have said to smoke that you will never live without him, then I’d advise you to come to a compromise. And if you are always around those that smoke, you can do yourself some good by stop staying around them while they smoke because been there with them is no different from your smoking.